Spring Out to Sunset, a family fun event at Spring Hill Farm County Park, will be from 12-4 p.m. May 16. This year, spectators can enjoy a vintage baseball game of the Sunset Hill Colonels versus the Deep River Grinders. The game will begin at 12:30 p.m. “I’m looking forward to the vintage baseball game, played by 1860 baseball rules, against another park district. They dress up like they did in 1860,” said Yake. 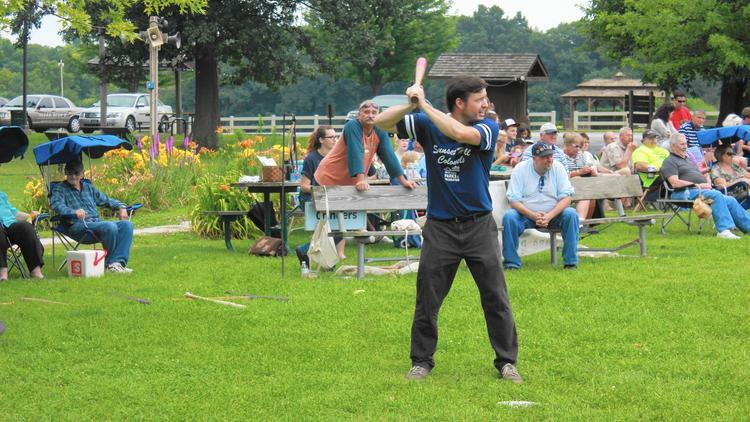 In addition to the vintage baseball game, families can also enjoy inflatables, laserball, archery, games, program demonstrations, wagon rides, and live music. “Laserball is a combo of laser tag and paintball. I believe that has an additional fee, but it is super fun,” said Yake. This is the first year that Spring Out to Sunset will be having a Home Brew Competition. There will be three styles of home brews to be judged: stouts, ales and porters. All home brews will be judged on aroma, appearance, flavor, mouth feel, and overall impression in their respective categories. Awards will be given to first, second and third place in each category. All beers must be made outside of a commercial brewery. For interested parties, the submissions will begin on May 11-15 at Brewhouse Supplies in Valparaiso. Day-of submissions can be made on May 16 before 11 a.m. Entry into the Home Brew Competition is free of charge. Entry to the Spring Out to Sunset event is $5 per car. “It’s something that we’ve done for years. It gives families a day out in the park at an affordable price,” said Yake.